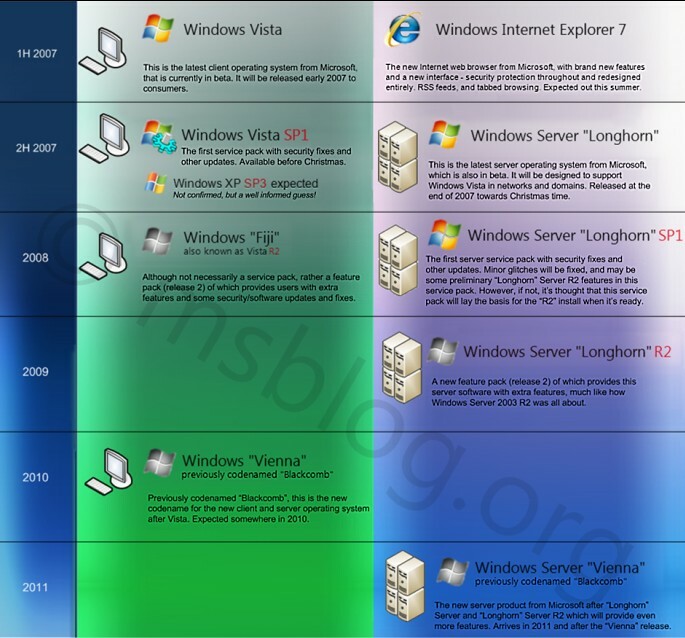 Here you can find the current timeline showing the latest developments in the world of Microsoft Windows. Let me be honest, up until the moment I wrote this article I was incredibly confused myself with all these different codenames, different products and it was mightly difficult. So I came up with this with the help from my friend within Microsoft, codenamed “Aniston”, we managed to scrap around and work out what is what, where is it and who goes where. This entry was posted on Thursday, April 13th, 2006 at 11:07 am and is filed under MS News. You can follow any responses to this entry through the RSS 2.0 feed. Both comments and pings are currently closed.